KRA iTax Online eServices at Cyber.co.ke Portal. 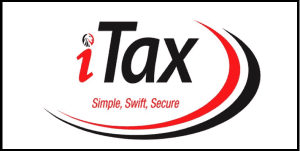 Get the ultimate iTax Online eServices in Kenya. Cyber.co.ke is an online portal that enables Kenyans to order, apply and pay for KRA PIN Services for Individuals, KRA PIN Services for Non-Individuals, KRA Returns Services, KRA OTP Verification, Business Tax Filings and KRA Compliance Services online with ease and convenience. Apply and pay for online KRA services using our Lipa na M-PESA Till Number: 934070. We process all your KRA services orders quickly as soon as the order has been made online. We are here to assist and help you as your preferred online cyber partner in Kenya. Do you have any issues with your KRA PIN? Let Cyber.co.ke assist you today. Cyber.co.ke is an online portal that enables Kenyans to order for online KRA services and pay conveniently for those services rendered. We are driven by innovation and customer centricity in helping millions of Kenyans daily in processing their KRA Services Online with ease and convenience. Copyright © 2019. Cyber.co.ke - Get KRA Services Online Today. All rights reserved. DISCLAIMER: Cyber.co.ke is an independent business services entity and is not affiliated with KRA. We only assist Kenyans in processing their KRA Services online.